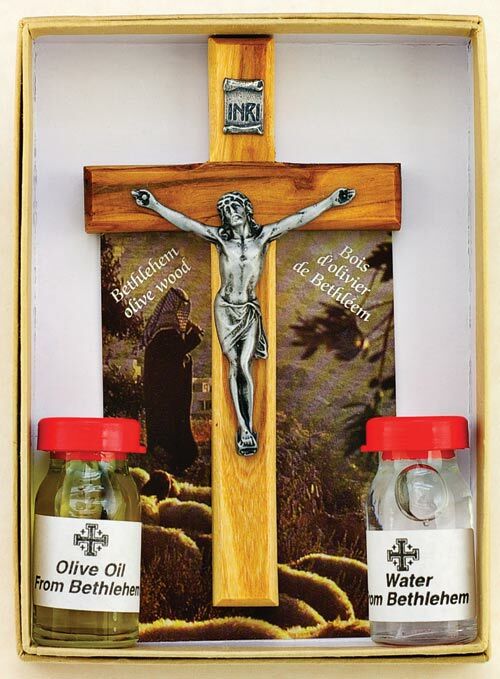 The OLIVEWOOD crucifix from the Holy Land measures 4". It comes with Holy Oil and Holy Water direct from Bethlehem. Makes the perfect gift from the Holy Land for Christmas, marriage, or any occasion.